Updating your 3CX PBX Edition key to a Standard, Pro or Enterprise Key. Overview: In this article we will go over the steps to upgrade your Free PBX Edition key to a Paid Standard, Professional or Enterprise Key. Methods: There are two different ways of upgrading you Free PBX edition Key to a Paid Standard, Professional or Enterprise Key. 2) The second Method, if you already have a key you want to use or have purchased one; Requires an uninstall/reinstall of the PBX. The Most important part of this method, is how you take your backup. 1) When you Take the Backup of the server, you *must* uncheck the option to "Include license key information and FQDN" as shown below. 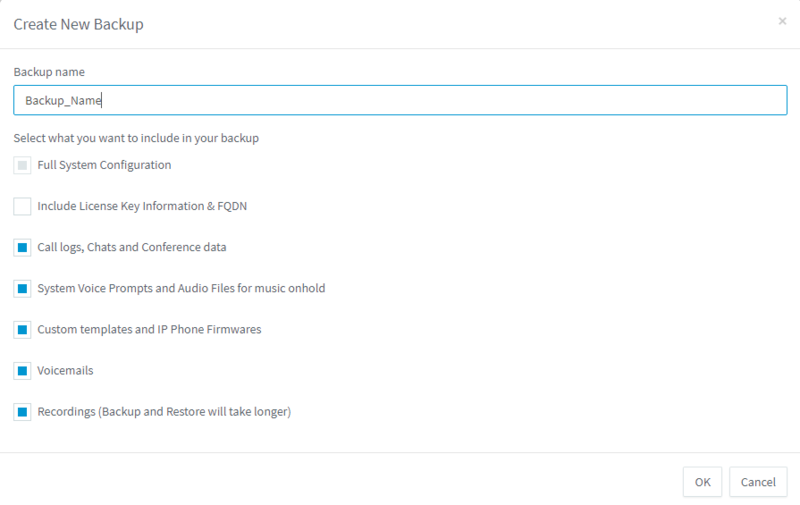 3) Now you simply need to install 3CX and Upload your Backup file. Once your Backup file is loaded and you click next, you will be asked to enter your new 3CX key and continue your install as normal.